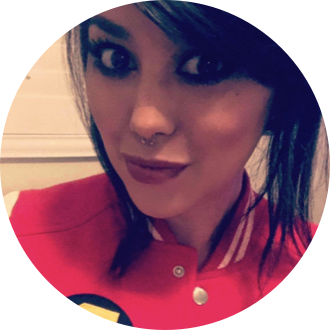 Read Ashley K's review of Teen Titans Go! To The Movies. It seems to the Teens that all the major superheroes out there are starring in their own movies—everyone but the Teen Titans, that is! But de facto leader Robin is determined to remedy the situation, and be seen as a star instead of a sidekick. If only they could get the hottest Hollywood film director to notice them. With a few madcap ideas and a song in their heart, the Teen Titans head to Tinsel Town, certain to pull off their dream. But when the group is radically misdirected by a seriously Super-Villain and his maniacal plan to take over the Earth, things really go awry. Teen Titans Go! To The Movies is in select theaters on July 27th, 2018. Let me preface this by saying I grew up on cartoons, actual 2D cartoons - they didn’t have CGI in the late 80’s/early 90’s. It’s something I miss dearly and I am still a cartoon watcher to this day. So I give major credit and praise to both Warner Brothers and DC comics for making this movie in 2D and I think it’s a breath of fresh air in the ever growing long list of terrible animated films that have awful storylines and get by on CGI. That being said - let’s get down to it! 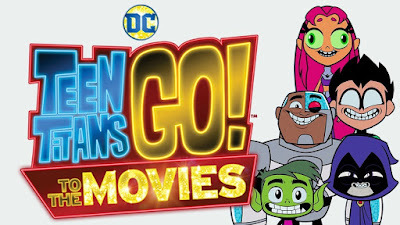 Our favorite super heroes make it to the big screen in this film based on the animated Show - Teen Titans Go! 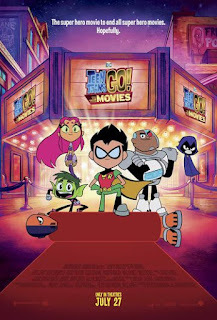 Robin, Starfire, Raven, Cyborg and my favorite - Beast Boy set out to Hollywood to become movie stars! They try to get hired by the most famous Movie Director, Jade Wilson (Kristen Bell) and discover that being famous isn’t all it’s lived up to be. Their friendships and limits are tested as they overcome obstacles and try to keep the team together. This movie is so unique in that DC a knowledges a lot of their shortcomings and continuously pokes fun at themselves. We have tons of cameos from other superheroes across the Warner Brothers universe and some extra surprise guests too! They add in throwbacks to famous cartoons, comics and mix in different animation styles. I absolutely loved this movie. It made me feel like a kid again and I just had fun. It brought me back to my childhood and the reason I’m such a nerd today - cartoons, cartoons, cartoons! I brought my four year old niece and she didn’t want to leave the theater! Also - can we talk about the ending credit scene? !